From the Limbourg Brothers in the early 15th century to artists such as Albert Marquet in the 20th, Paris has been a rich source of subject matter. In the 21st century, these artists have provided us with a wonderful visual record of the dramatic changes occurring in the capital over the years. 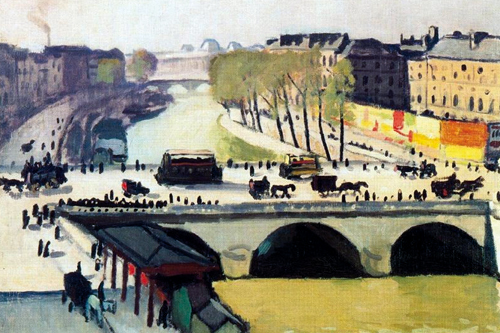 Raguenet, Renoir, Monet, Pissarro, Marquet and Signac all chose to paint the Pont Neuf. We shall look at their works and some of the other features of Paris that have appealed to and inspired artists.